The 2019 Ford Endeavour (2019 Ford Everest) that was introduced in May 2018 has appeared on the Indian roads for the first time. 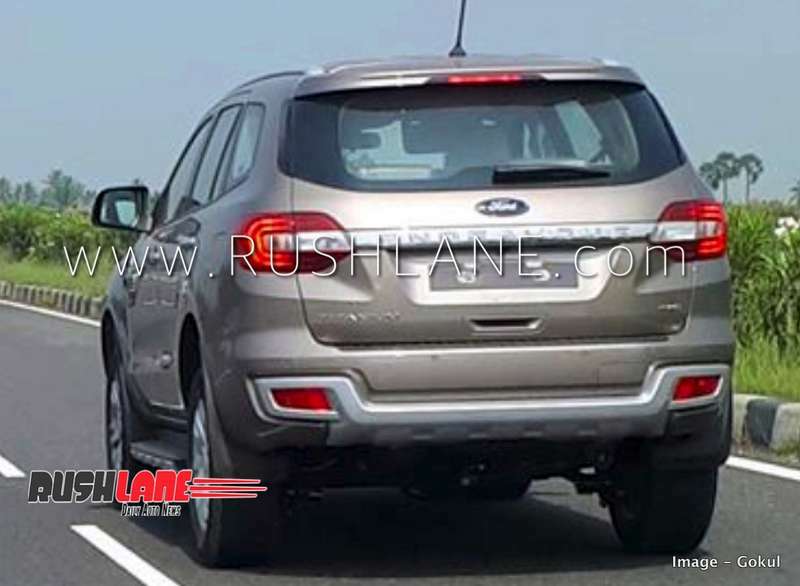 RushLane reader Gokul has shared spy shots of the facelift undergoing road testing wearing no camouflage or disguise. The new Ford Endeavour features subtle design revisions and additional convenience features. On the outside, the updated mid-size SUV features a new upper grille with a lesser usage of chrome, a lower air intake frame and new 20-inch split-spoke alloy wheels with darker accents. The test mule is painted in Diffused Silver Metallic, which is a new colour option. The interior has largely remained the same. Ford has improved the convenience of the Endeavour by adding keyless entry, engine start-stop button and a foot-activated power tailgate. International markets get the updated model with all-new engine options, a 2.0-litre single-turbo diesel unit (180 PS/420 Nm) and a 2.0-litre bi-turbo diesel unit (213 PS/500 Nm), both with an all-new 10-speed automatic transmission. However, in India, the Blue Oval doesn’t plan to introduce the latest engine options or the sophisticated automatic transmission. The current 2.2-litre diesel engine that develops 160 PS and 385 Nm of torque and 3.2-litre diesel engine that produces 200 PS and 470 Nm of torque will continue post facelift. Ford will update the engines to meet BSVI emission norms, though it’s unknown whether this action will happen with the rollout of the mid-cycle refresh or later. The older engines come paired with a 6-speed automatic transmission as standard. A 4WD system is available optionally. Ford India won't offer the 180 PS and 213 PS 2.0-litre diesel engine options and the 10-speed AT available internationally. 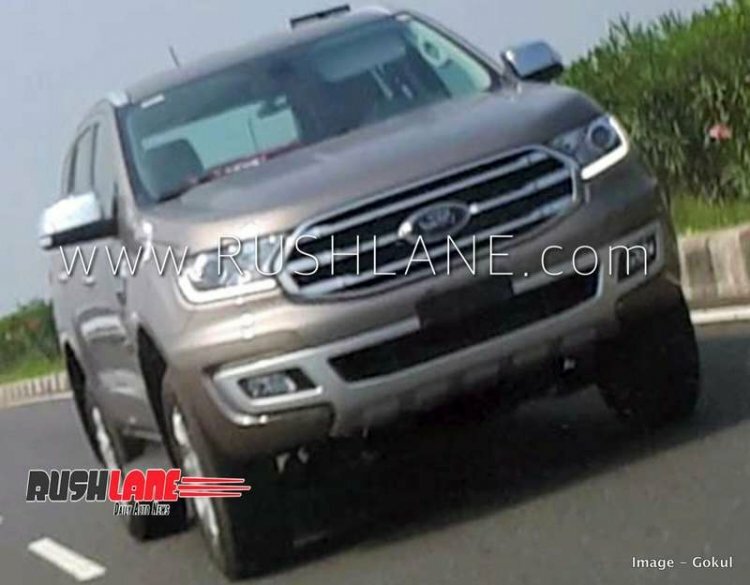 The 2019 Ford Endeavour’s launch is said to take place in early 2019. Prices could start somewhere around INR 27 (ex-showroom Delhi).